with action items that finally get DONE for all teams in Slack. Try for free while Retrochat is still in BETA! Start an awesome retrospective on a team’s channel. Let the team answer questions and discuss finished sprint. 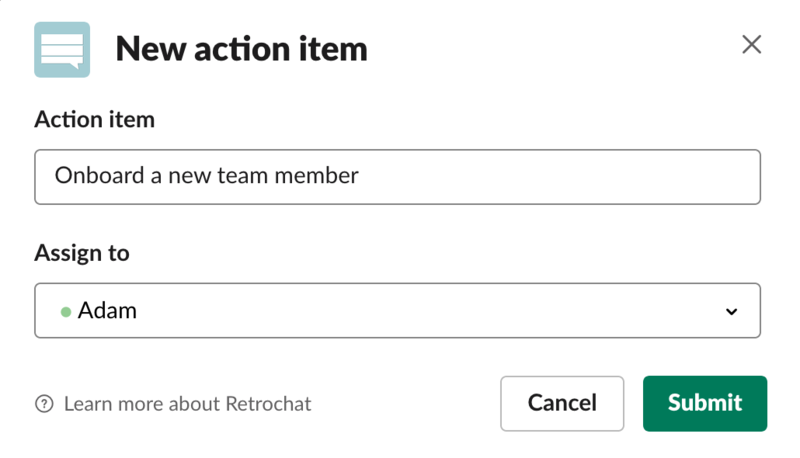 Add action items that should be tackled until next retrospective by specific team members. 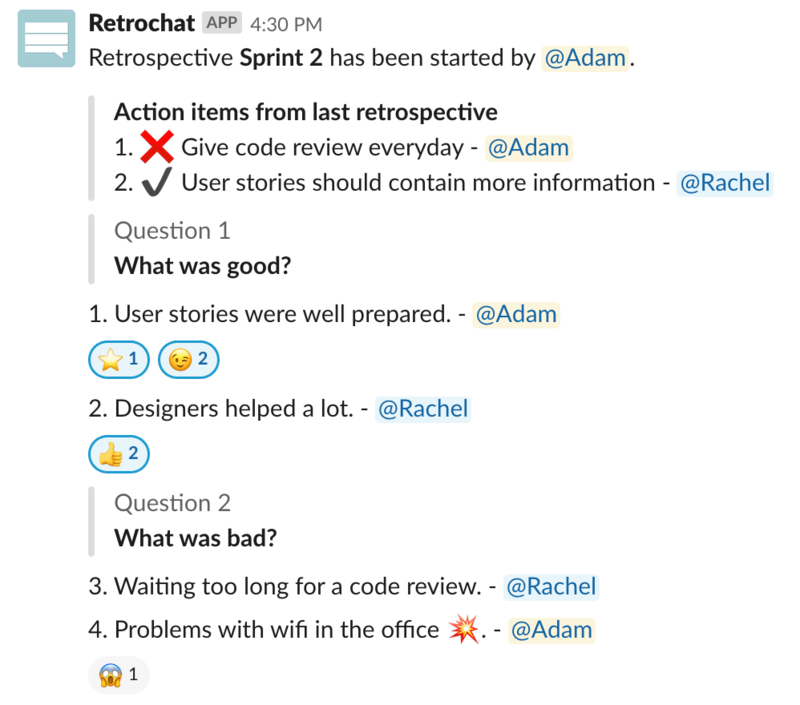 Complete action items during a sprint to keep your team motivated and improve your workflows.